A single 10-player Round Robin played on November 9, 10 and 11, with 3 rounds per day. The time control is 25 minutes for the entire game with an increment of 10 seconds per move. 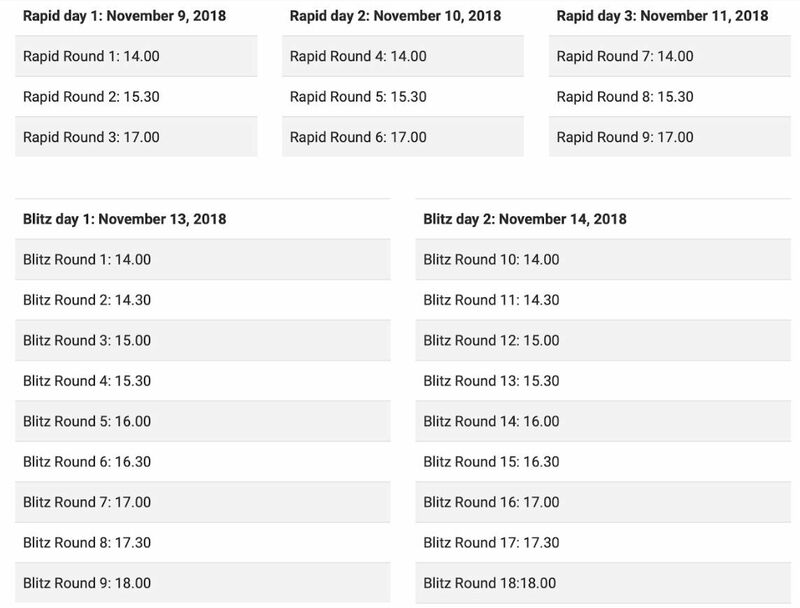 A double 10-player Round Robin played on November 13 and 14, with 9 rounds per day. The time control is 5 minutes for the entire game with an increment of 3 seconds per move. You must pick your physical tickets from the Book My Show counter by 1.30 PM on each day.